Coverted adding a slightly chaotic touch with the spikes and skull. 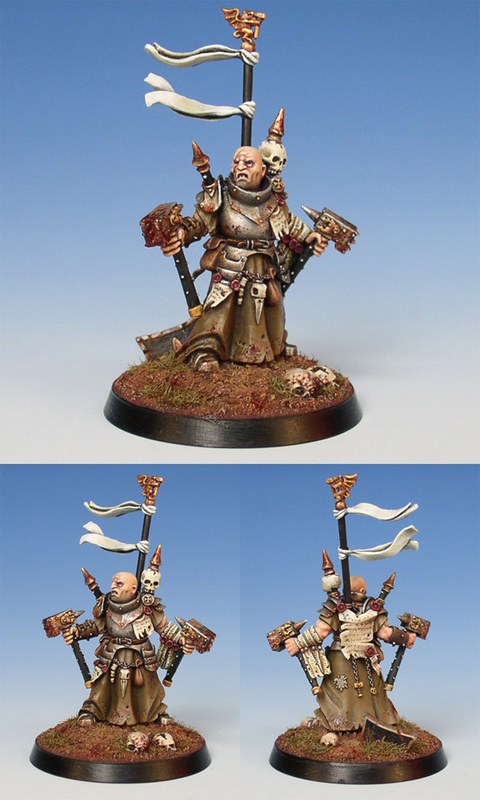 I wanted the look of a radical Priest unaware of his path leading towards chaos. I hope you like it. A great mini in general. The contrast of the blood stained hammers and the clean white ribons is one of the best ideas I've seen. Fantastic piece of work! NMM is obsolete Gratulerer med et nytt kunstverk i samlingen. Always, when I'm looking on your mini, I thinking how it's possible that Yours metallicks look more then realistic. Great mini.